COUNTDOWN TO SUMMER BIBLE CAMP! We are looking forward to a fantastic week at Summer Bible Camp 2018! 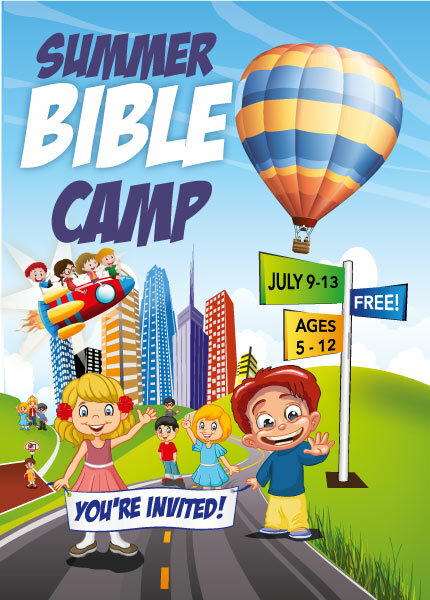 This fun-filled week is the highlight of our summer at Hope Baptist Church, and is sure to be packed with excitement, fun, prizes, and learning about God’s Word! Below is a little information describing what Summer Bible Camp is about, and what you can expect. We would love to see you there! At Holiday Bible club, we are huge fans of fun! However, we believe that all fun should have a purpose. Those who attend HBC will quickly be absorbed in the excitement of cheering, balloon races, and be left asking “how does he do that!” when Mr. Andrew shows them another magic object lesson. Through the fun, the stories, the excitement, and all the special things associated with HBC, we hope the message shines through – Jesus loves you! To truly know Jesus! To learn more about the Bible, amazing stories and fascinating people in the Bible, and to personally know God. Jesus, during His earthly ministry, was keenly interested in the children. Even when the children annoyed the disciples, they always knew that Jesus truly loved them, and they loved Him. We hope this is our spirit. We really want the children to know the good news, that Jesus died on the cross for our sin, so that we could go to heaven, and that the best and happiest life is one lived following Jesus! How much does it cost: It’s free! Where can I park? Parking is very sensitive as we are surrounded by businesses, and SBC takes place during business hours. If possible, it helps if you do not park in Eglinton Terrace when picking up your kids. Notice: Please do not park any car or drive in on Eglinton Terrace! We do have limited parking. If you have trouble parking, please tell us, and we will be happy to help!